I have a slight obsession with the orange peel quilt block pattern. If you’re not familiar with the design it is basically like 4 elongated ovals that are set on point to form a circle with the points all touching. It is a very striking pattern when you see it repeated. 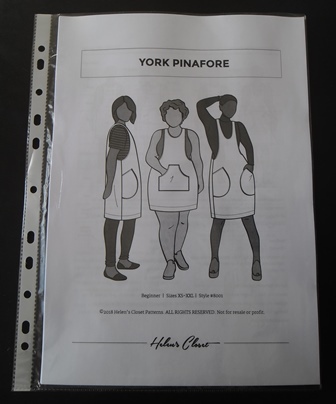 A year or two ago I came across a black and white print of it at a discounted price so I brought some to at some point make something (back then I was probably thinking a skirt) After making my first York I came across the fabric in my stash and thought this would make a great York. The orange peel design gives the fabric a bit of interest but doesn’t look too hard on the eyes.The fabric isn’t a soft quilting cotton even after washing and ironing but it is perfect for me to use in the York as over the torso area where a crispy fabric would irritate me it is layered over the top you wear under it. In hindsight had I used this fabric in a skirt which was fitted around the waist area it would’ve been a garment I never wore as it would’ve been too crunchy and not soft against my skin. Around the waist and thigh area the fabric is comfortable in this pattern as it isn’t tight around the skin. I wore this last week on a rather warm summers day and it was very comfortable. With this one I did add length to the bottom so it was the same length as the other version available in the pattern. 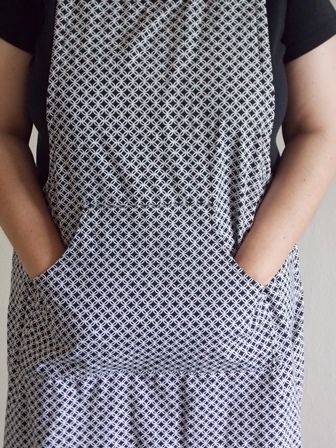 In the pattern the version with the kangaroo pocket is a shorter length which is what I made my first one. It is just a fraction too short for me I think and to be honest I haven’t worn it a great deal even though it has that great pocket. To add the extra length I measured the difference between the 2 versions from the paper pdf I still had and used the original pattern I cut out from to tracing and toile just marking in the extra length at the bottom with tailors chalk directly onto the fabric before I cut it. Both versions are straight at the bottom so this was easier than retracing the entire pattern. Once again I love the pocket on this. Originally I was wearing this over my work jumper but it just didn’t look right, it was like I wearing an apron. I started wearing this under my jumper but over a t-shirt to work and I get so much use out of it now. As it the longer length I end up wearing this on almost a weekly basis. It is a little more fitted in at the waist then my first one too by chance when I stitched it up. It is really easy to access the pocket under my jumper at the front. So that is now 2 York’s made. I am still contemplating a denim one, I have seen many made of denim on social media and it looks very casual. A denim one I could wear with sneekers, I spend a lot of time in sneekers and don’t have a lot of clothing that I can wear with them. Nice fabric. Denim would look really good too.